Deep sink - but copper is sensitive and you have care and maint. Add a rustic touch to your kitchen decor with a new sink. 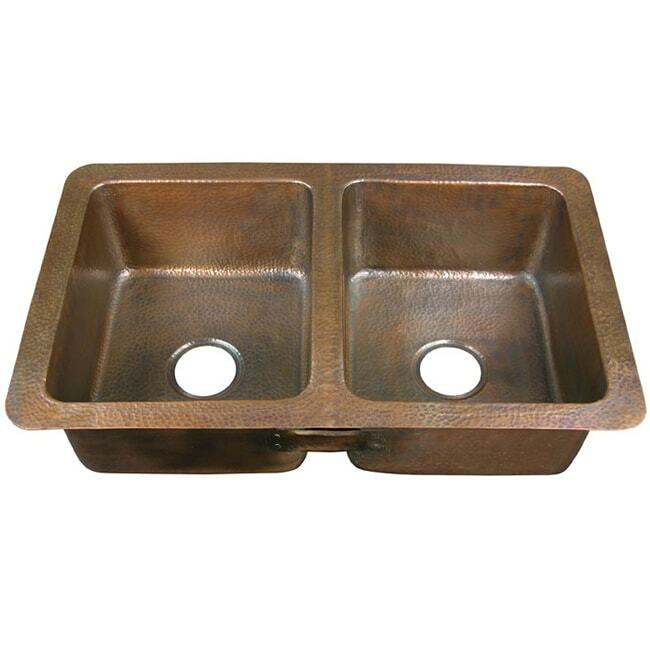 This double-bowl drop-in sink is crafted of copper and features a hammered antique finish. "Are there any holes for the faucet?" Unfortunately no, this comes only as show. Please let us know if you have any further question. "Is the copper sink should be made of 99.9% pure copper?" Yes this is 100% copper. "Are the measurements from the inside fo the bowl or from the outside of the lip?" The dimensions are from the outside of the lip. "Also want to know the gauge of the copper AND if manufacturer recommends with a disposer??" This sink is made from 16-gauge sheet and is compatible with disposal systems. "Can you please tell us, what gauge is this metal?" These sinks are made of 16-gauge copper sheets. "Who is the manufacturer and what percentage is the copper material? 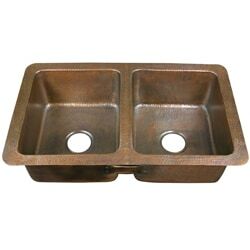 Thanks"
The sink is manufactured by Brass Elegans Inc., and the only material listed is copper.